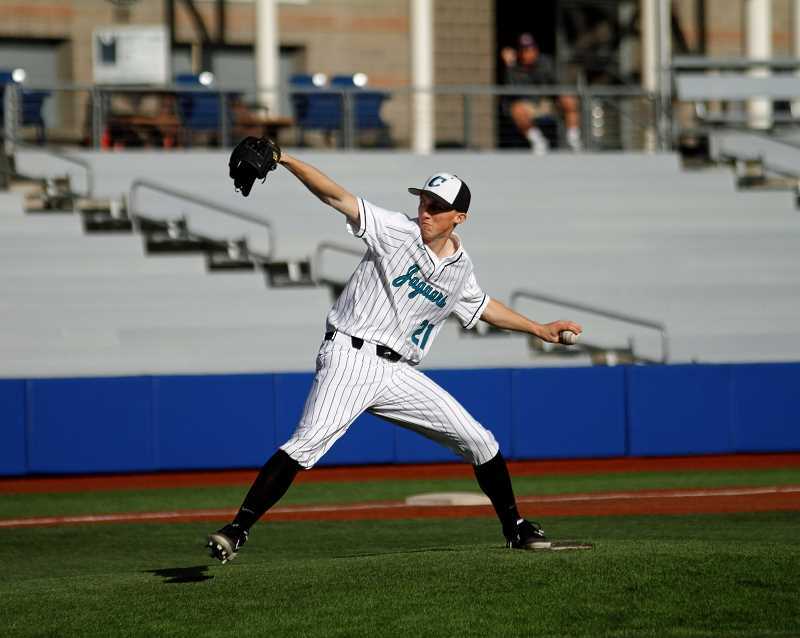 Despite scoring 12 runs and racking up 14 hits in the second of their three game set with Newberg last week, Century's sweep of the Tigers was much more about pitching than it was their performance at the plate. Jaguar starters Ian Lawson, Jared Gordon and Micky Thompson combined to throw 20.2 innings, allowing zero earned runs on 12 hits while striking out 34 and walking just four. In addition to their work on the mound, Century committed just five errors over the three games, all to the pleasure of head coach Mason Wright who lauded his team for what was nothing less than an impressive performance against a formidable Newberg club. "Pitching and defense were really strong for us this last series," Wright said. " (Ian) Lawson, (Jared) Gordon and (Micky) Thompson all carried the load." Century (5-1, 11-2) won game-1 by a score of 4-0, the second game 12-1, and the final of the three games also 4-0, getting a complete game shutout from Thompson in the process. The senior lefthander tied the visiting Tigers in knots, allowing two hits over the first six innings, and just three in all while striking out 12 and walking two on just 84 pitches. 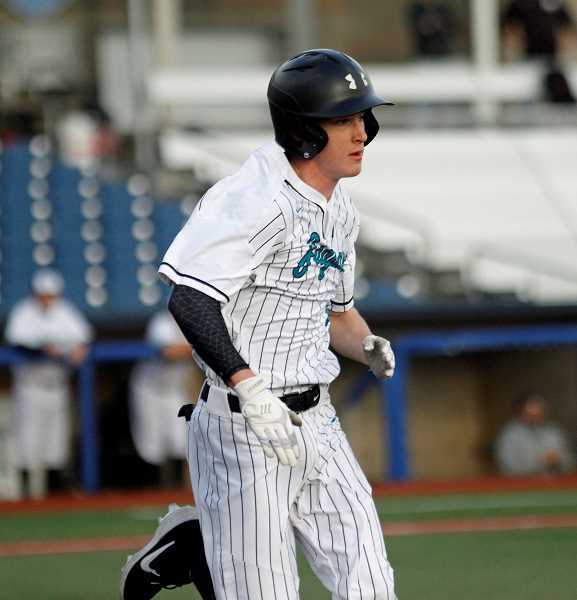 The Jags scored three of their four runs in the bottom of the third inning when Thompson led off with a single to center, Justyn Herzog walked, then Gordon plated Thompson on an RBI single to center before a fielder's choice scored Herzog and Gordon eventually stole home. Their fourth run came an inning later when Blake Baccay reached on a dropped third strike, advanced two bases to third on a catching error, then scored on a passed ball — which was all Century needed with Thompson on the mound. A day earlier it was Gordon who dominated, throwing a complete game shutout, allowing just four hits while striking out 10 and walking one. Too on just 84 pitches. Not to be forgotten, Lawson went 6.2 innings in the series opener, April 9, allowing just five hits while striking out 12 and walking only one. Gordon also did work at the plate, going 4-for-6 with four RBIs, two runs scored and four walks in the series. Next Century opens a three game series with Liberty, at 7:00 p.m. Tuesday, April 16, continuing at 4:00 p.m Wednesday, and ending with a 7:00 p.m. game Friday, all at Ron Tonkin Field. Wright is excited for the crosstown rivalry games and expects a good battle. "We're excited to see a cross town rival," the coach said. "It's always fun to see kids who your players have known since tee-ball go compete against each other. Liberty has a solid senior core and some nice underclassmen, so I expect a good competitive series." And how does he feel about their prospects against the Falcons? He wasn't making predictions, but did seem optimistic if they continued pitching at a similar clip. "If we continue to pitch like we can, then we are going to make scoring runs difficult for most all the teams we will face."